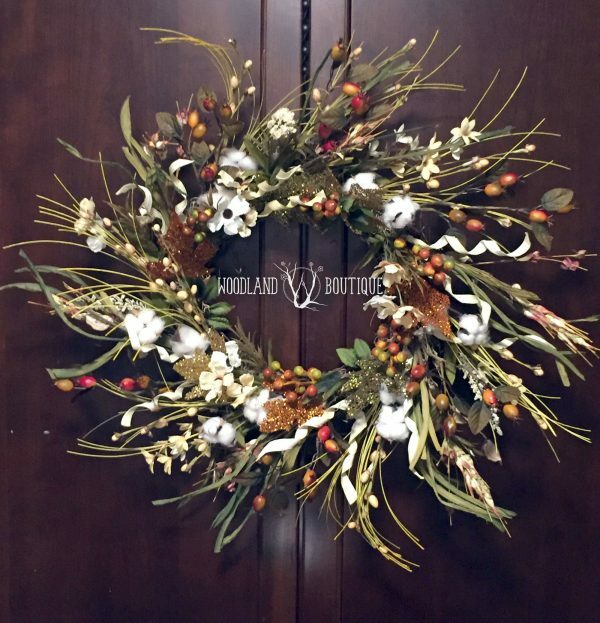 Enchanted Pumpkin wreath in a non-traditional color palette. Measures approx. 20″ around. Handmade wreath in a non-traditional color palette. I call this one “The Enchanted Pumpkin”. 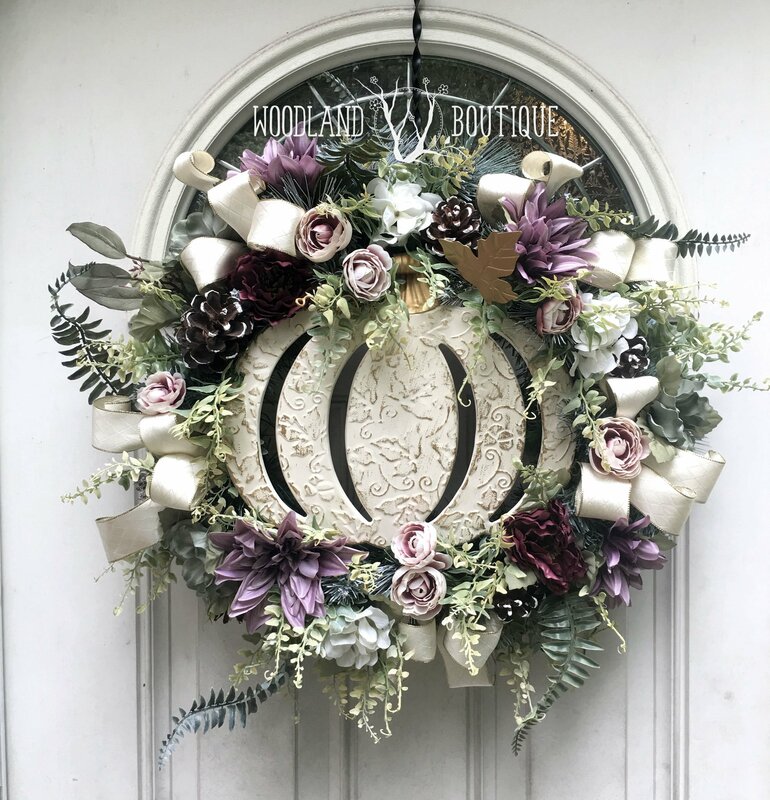 An Ivory metal pumpkin with gold accents is nestled in a bed of amethyst and magenta blooms, accented with premium greenery, pinecones, and ivory satin ribbon trimmed in gold.